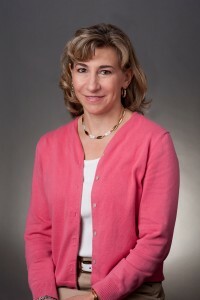 Janet Burns has been with University Family Medicine Center, PA since the office opened. She moved to Florida from Ohio for Dr. Burns to complete his residency. The rest is history! Janet is a physical therapist by training but enjoys working in the family practice at this time. Janet enjoys biking, running and spending time with their 5 kids on the weekends. Meet our office manager: Alicia has been with UFMC for over 10 years. She has added impeccable leadership to our team! Christina manages our billing, insurance, and collections. She loves attending the billing needs of our patients, and can answer all of your financial questions concerning UFMC financial policies and your insurance plan. She is cross trained in different areas of our office, and would love to help assists you with all of your financial and healthcare needs. Crystal is our referral coordinator. She works inside of our business office working hand and hand with specialists here in Central Florida to coordinate care for all our patient's needs. She's also in charge of medical records and she works as liaison between the specialist and the patient. She's a graduate from UCF with a degree in Health Sciences Pre-Clinical and minored in Sociology. To add even more to the list of her accomplishments, she's also a licensed EMT and is currently earning her nursing degree! Johana is one of our newest opening front staff member here at UFMC. She is a UCF graduate with a degree in Health Sciences Pre-Clinical and a License Pharmacy Tech. 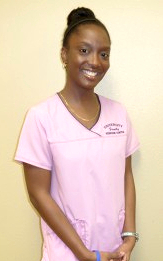 She is expanding her horizons in healthcare by providing the best front staff service to our patients. She has plenty of patient care experience and is currently earning her nursing degree. Help us welcome her to our team with a warm smile. La'Draysha is another one of our newest team members. She is currently attending UCF to obtain a degree in Health Administration. Go Knights! She brings a lot of customer care experience into the healthcare world and we are excited to welcome her to the team! Reghan is our file clerk in the office. She is a UCF Knight, obtaining a degree in Occupational Therapy! She's the one in charge of pulling your chart for every appointment you make, while also making sure all of your information is prepared for your office visit with the providers. In addition, she personally organizes your chart in the office accordingly to make sure the office remains structured for the patient's privacy.